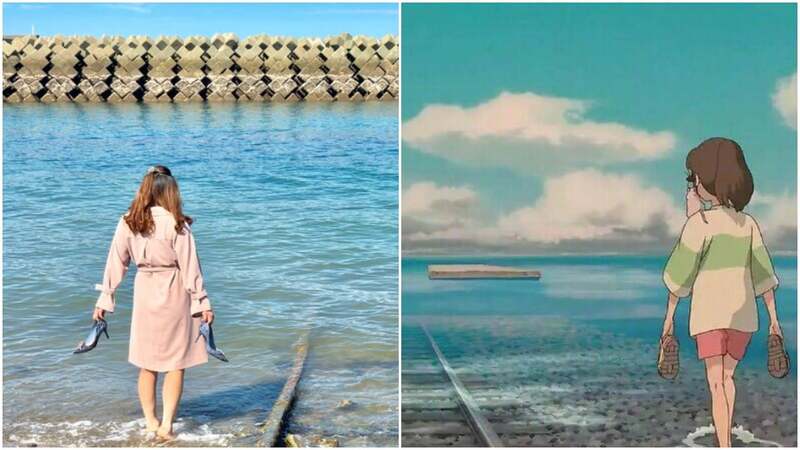 In one of the most famous scenes of Studio Ghibli film Spirited Away, the protagonist Chihiro follows train tracks that led into the sea and boards a train. 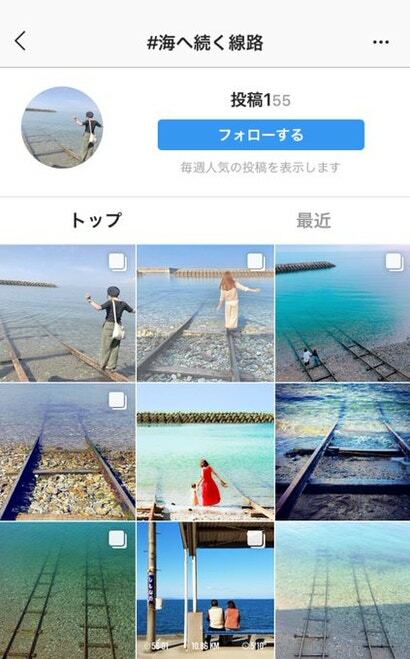 Instagram users began flocking to the spot in Ehime Prefecture after a rumour circulated that a local spot inspired the scene. 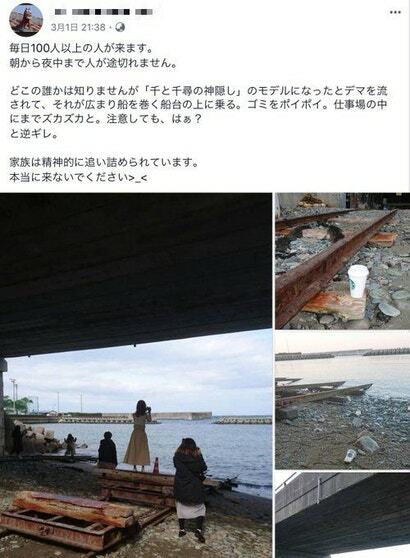 However, the Spirited Away fans caused problems for residents, trespassed and left trash all over private priority. 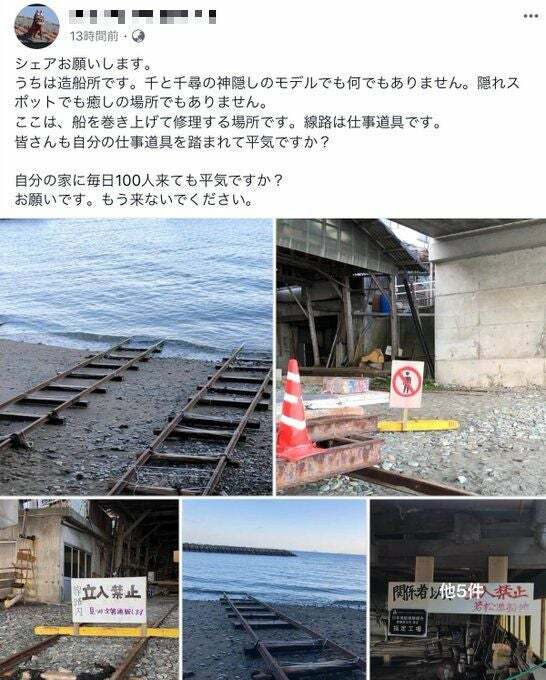 According to Netgeek and Togetter, the owner of the shipbuilding yard posted photos and complaints on Facebook, saying that a hundred people were coming on a daily basis to take photos. There were signs that clearly read “No Trespassing” (立入禁止) in Japanese. Yet, people still came, uploading photos, leaving their trash all over the property, wandering all over the shipyard as the rumour that this spot was the inspiration for the Spirited Away scene continued to spread through the internet. Netgeek says there is no proof that this is true. Haha, very cute. Though I don't see Chihiro holding high heel shoes in the comparison shot. Getting a game released in China was already fraught with difficulties, with censors often demanding changes to models, blood, and other textures to meet morality standards. Now, some of those things are being banned outright. Games love copying systems and mechanics from one another. But every now and again, a developer builds something that can't be replicated wholesale. And I've been thinking about that while replaying Shadow of War, Monolith's hack and slash sequel in Tolkien's world.